Dietary supplements, also known as nutritional or natural supplements, are products that are now starting to make a name in the industry. They are related to the multivitamins or vitamins that we take to keep our body strong and healthy. The primary feature that differentiates them is that they are geared towards helping one or two particular conditions. That is the reason why some people question if these products can be alternatives to prescribed medications. The thing is that dietary supplements, as the name implies, are just intended to “supplement” the body with nutrients that are lacking or low in number. They will be helpful in making sure that the release of certain compounds or the processes involved in their production is hastened. Hence, they are not yet approved by any facilitating bodies as therapeutic products. On another note, one of the common supplements that you will find in the market is those that promise to help relieve pain. Once you look for a supplement as a natural pain relief on Amazon, you will notice that there are common but unknown ingredients amongst them. We have listed and discussed them briefly for you to have an idea. Boswelliaserrat is a type of gum resin that is known by natives from where it is grown as Indian frankincense, salai, salaiguggul, or gajabhakshya. This has been used in traditional Chinese medicine and was later adapted in the Middle East and some tropical countries. The plant can be either burnt so that the aroma can be used for treatment or was also pounded and used as a medicine or concoction. Today, supplement manufacturers produce a powder out of it and incorporate it in their capsules. As per the claims that it has capabilities to relieve pain, many experts relate such to the presence of the Boswellic acids. They are regarded as the powerful compounds that can inhibit enzymes that trigger the development of inflammation. That is the reason why some researchers have focused on its possible effects on people who have osteoarthritis (OA). Fortunately, some studies have shown that it can help lower the pain levels of OA sufferers within a period of one week of regular intake. The extract of Cissusquadrangularis, also called devil’s backbone and veldt grape, is also found in many popular pain-relief supplements. It is a kind of perennial plant that is native to India and Sri Lanka and is common in the continents of Africa and Asia. As per the chemical analysis, it contains active compounds like carotenoids, triterpenoids, and several vitamins and minerals. With that in regard, some experts claim that this has anti-inflammatory properties which make it as an aid in relieving inflammation and irritations related to hemorrhoid, menstrual cramp, and common bodily pains. Dietary supplements for pain might not yet be approved as pharmaceuticals but they can be helpful especially if they contain ingredients that have been studied well and those that have been used in the past. Thus, you must carefully evaluate each component and understand their effects. The nervous system is among the most overworked systems of the human body, even during sleep. In this case, there is a need to take really good care of them, along with the other parts of the body. When we talk about proper care, there should be a balance between different factors that can affect the health in general, which includes diet, certain physical activities, as well as the positive mindset and attitude. The diet is considered to be the most complicated factor to balance because there are lots of challenges and temptations. That is why smart eating is usually seen to be the most important part of taking good care of the body. Healthy eating habits can also be accompanied by additional support from nutritional supplements. In order to achieve a healthy diet and have the best product for the nerves, it is important to learn about the supplements and nutrients that contribute greatly towards keeping the nervous system healthy. Most of them cannot be obtained regularly through the foods that they eat; however, a supplemental product can be a good support. Moreover, it is still highly recommended to consult a medical professional before religiously taking these supplements. Some of the products are designed to keep the nerves healthy while others are available to help provide relief from nerve pain. You can learn more about this supplement for nerve pain to learn more. Potassium is a known element that can affect the normal electrochemical impulses from the nerve cells towards other cells of the human body. If available in necessary level and with the help of other electrolytes, such as sodium, potassium can help normalize or regulate abnormal signals from the nerves, thus preventing conditions like seizures and nerve pain. The B vitamins, specifically the vitamin B12, are also important in keeping the nerves healthy and addressing problems like nerve pain. Vitamin B12 has the capacity to produce new cells, which would include minute nerve cells. This would allow the body to regenerate these cells through time, resulting to an intact and well nervous system in general. It is also the vitamin B12 that can support the tissue of protective layer, called the myelin sheath, of the nerves. This can prevent any damage and provides a chance for repair and rejuvenation. Magnesium is another important element for the nerves and the system as a whole. According to a study, an adequate supplement of magnesium in the human body has shown a promising result. The synaptic functioning of the nerves as well as the capacity of the neurons to send signals have been significantly improved. With the continuous supplementation of magnesium, there is a chance that the nerves will be kept healthy or improved despite aging and stress. Other nutrients for the nerves include the essential fatty acids, chamomile, and calcium. 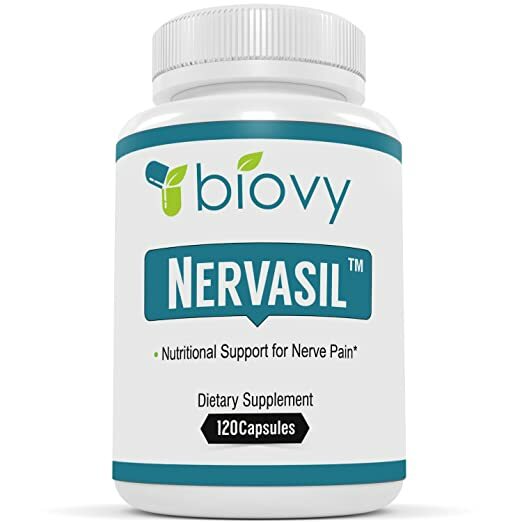 Most of these vital components to help the nervous system healthy can be found in some of the best nerve supplements being offered in the market nowadays. It would help to browse the internet and do further research.